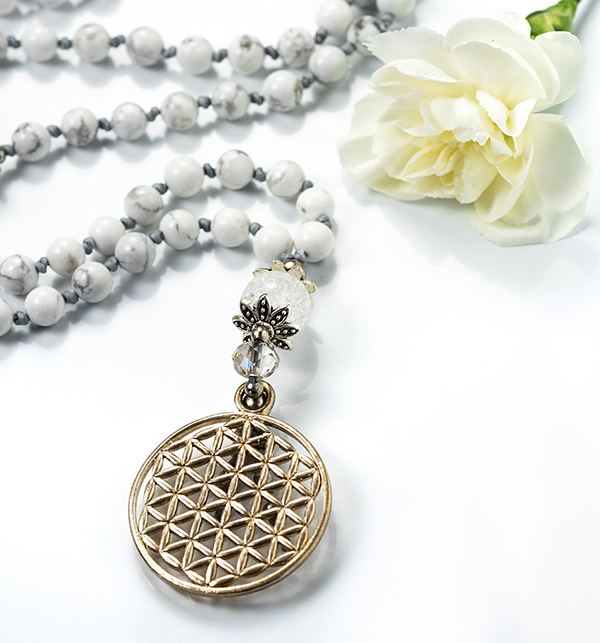 Howlite stone beads with brass Flower of Life small pattern amulet. 108 stone beads, length 55cm. Free shipping to Finland on purchases over 100€. Calming stone. Help for sleeping and dreaming. Softens overactive stressed mind. Relieves anger, pain and muscle tension. 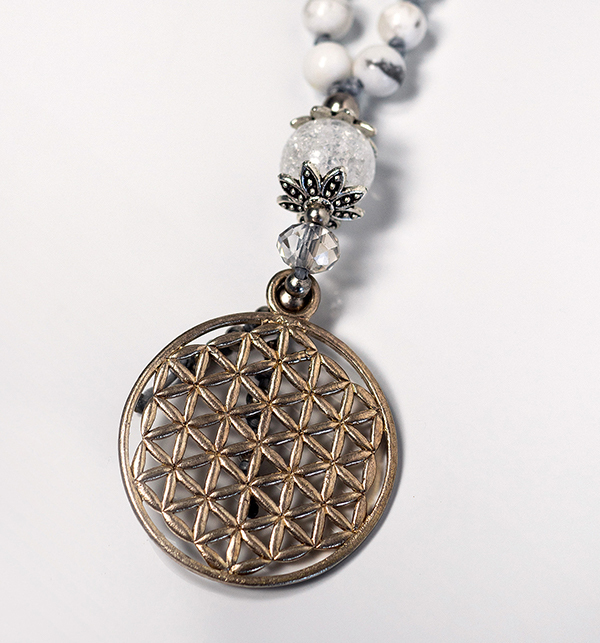 Flower of life has sacred geometry which is synchronized everywhere as in the natures plants and flowers. Japamala is a string of beds tied together. 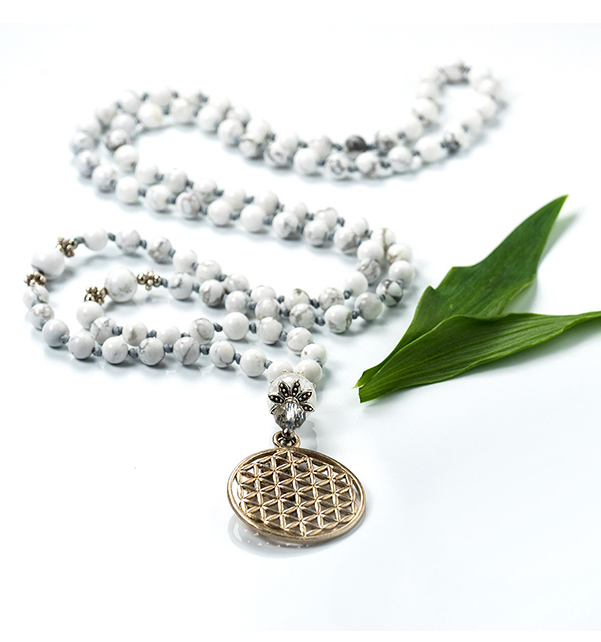 Malas are used as help to focus while meditating. Malabeads are usually made of 108 beads. There are many explanations for this exact number. One of them bearing special and significance meaning in eastern traditions.